The Glorious Twelfth is the twelfth day of August, the start of the shooting season for Red Grouse (scientific name: Lagopus lagopus scotica), Ptarmigan (Lagopus muta) and Snipe in Great Britain and Northern Ireland. It is a highlight in the countryside calendar and a key date for Rules who specialise in classic game cookery. Rules owns the Lartingon Estate in the High Pennines, “England’s last wilderness”, which supplies training in game management for the staff, exercising its own quality controls and determining how the game is treated. Shooting grouse on a Sunday is forbidden by law so today, Monday 13th August 2018, marks the official start date of this season. However, it will be a less Glorious Twelfth this year after many shoots were cancelled across the UK, due to a shortage of grouse following the extreme weather conditions of the last few months. The so called ‘Beast from the East’ back in March followed by the hottest summer since 1976, have had a significant impact and many of the moors in the north of England and in Scotland have had to abandon shoots to allow stocks to recover. 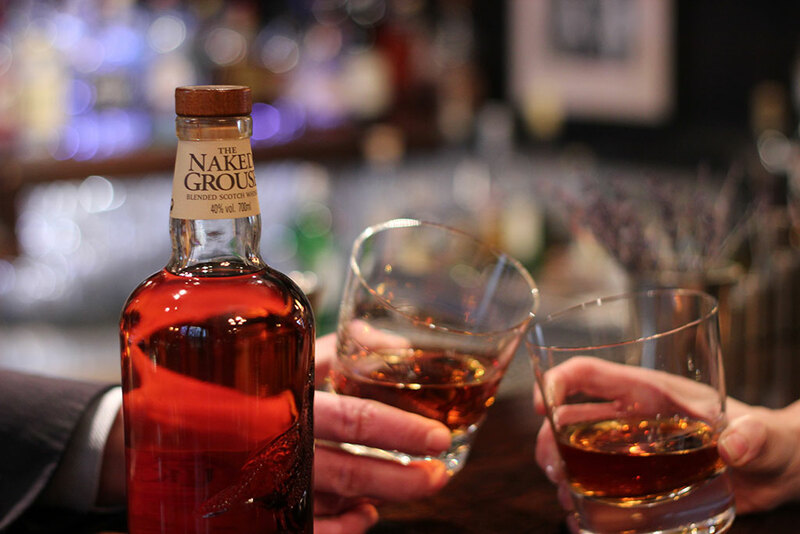 The grouse population can recover quickly in the right conditions. 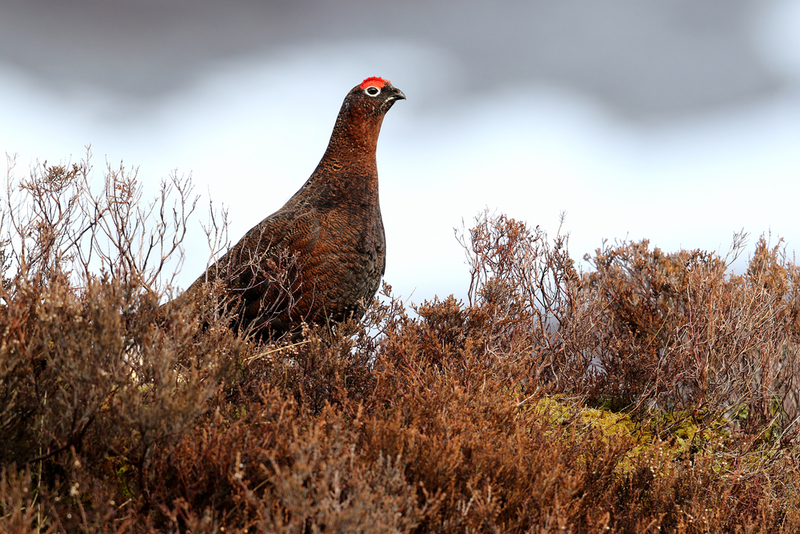 According to BBC Scotland, Scottish estates are cancelling shooting days to preserve future stocks while Amanda Anderson, director of the Moorland Association, has told The Telegraph “Half of grouse shoots across England and Wales have cancelled their entire 2018 shooting programmes”. Game comes from lean, healthy, free-range animals which are low in fat and cholesterol and in today’s ‘healthy-living’ society is considered a wholesome alternative to intensively bred domestic animals. 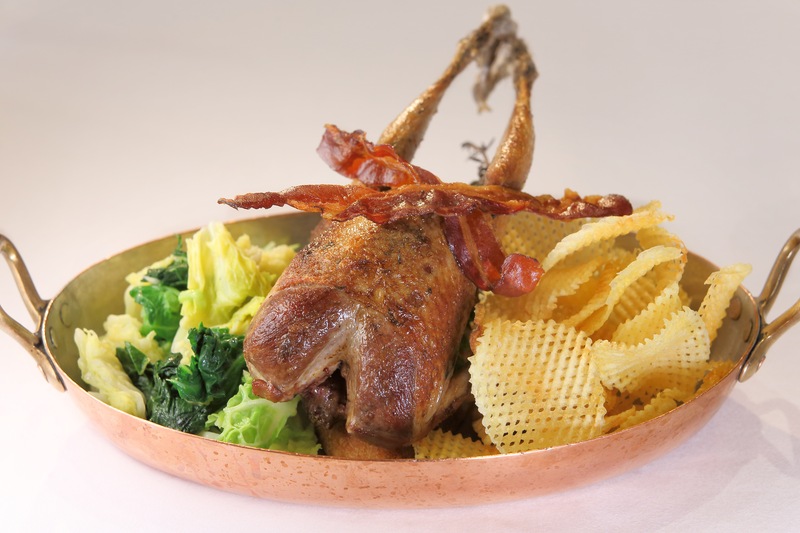 Rules will have grouse in the restaurant from tonight and considering the poor expectations by gamekeepers this grouse season, Rules highly recommend you call in advance to reserve your table and your grouse. As we speak, I’ve just booked a table here, for grouse. Rules comes roaring into its own in game season, its opulent, red-velvet-and-gilt grandeur the perfect location for pretending you’re landed gentry. I couldn’t love this restaurant more as the nights grow chill and, at Christmas, it is simply the ideal place to avoid any thoughts of shopping over a gallon or two of claret and perhaps an overstuffed, offal-rich suet pudding. Maybe under a tinsel-bedecked portrait of Maggie Thatcher. 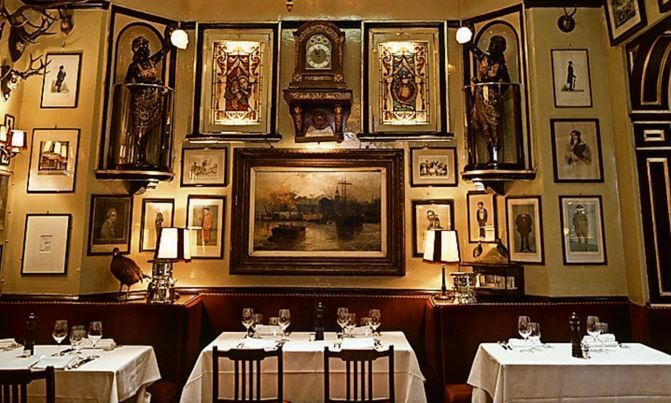 As London’s oldest restaurant, Rules gets its fair share of the grown-up, wealthier tourist trade (last time I went, I collided with original supermodel Janice Dickinson), but it’s still home to real Londoners, many of whom look as though they’ve taken a brief hiatus from starring in a Punch cartoon. Two great Rules secrets: 1) the bar – the martinis are among the best in the capital, but I’m not telling you how to find it, because it is mine, I tell you; and 2) it’s open all day, right through from midday to midnight. Grouse at 4pm, then game chips, pâté and port, before rolling home to an early bed, preferably tucked in by Nanny. 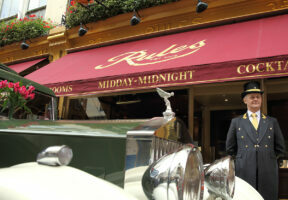 They’re not afraid to have a cocktail that’s dedicated to Kate Middleton; Rules is old enough to be above irony. “Game birds may contain lead shot,” they say. It’s a risk I’m willing to take. Adrian Blackmore explains why staff from Rules restaurant headed off to a grouse moor ahead of the Glorious 12th. View the full PDF here. Delighted to announce the grouse season has started and we shall be serving grouse from 13th August. This month we launch a series of special events to highlight the importance of Rules relationship with our suppliers. We were delighted to have Sophie Arlott of Lavinton Lamb providing her prize-winning lamb and presenting at our opening event on Wednesday, 6th May 2015. 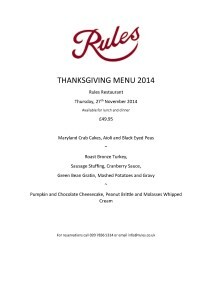 Celebrate Thanksgiving this year in the comfortable elegance of our restaurant as we offer a delicious menu on Thursday, 27th November for lunch and dinner. Quintessentially British we may be, but we know how to put together a superb Thanksgiving feast. 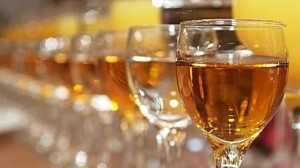 For reservations please telephone 020 7836 5314. Click to View or Right Click ‘Save As’ to download. Probably the most celebrated date in the country sports calendar, the 12th August launches the Game Season. 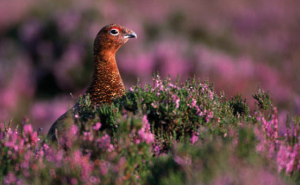 The Red Grouse, widely regarded as the King of All Game Birds & unique to the British Isles, launches the Shooting Season on moors ranging from the North of England to Scotland. These fast, low-flying birds are amongst the most difficult to shoot & are the prized possession on a Shoot Day. 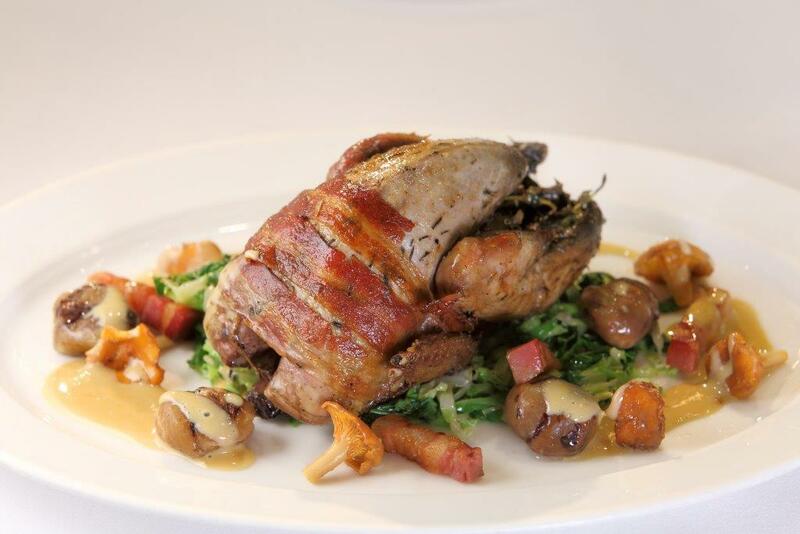 Past luminaries, such as Edward VII and Kaiser Wilhelm II, delighted in both the sport & tasting the delicious, subtle flavour of the New-Season Grouse. Celebrate with us as we commence The Season at Rules. Our enticing summer menu is now in full swing and we are offering even greater choice with a seasonal daily menu which is available Monday to Friday till 6pm and is priced at £19.95. 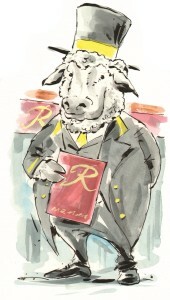 The Rules weekend roasts are proving very popular as they are available Saturday lunchtime and all day on Sundays. The perfect way for family and friends to get together over a proper roast dinner!